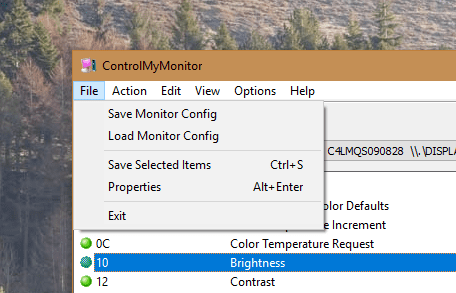 ControlMyMonitor is a free portable tool from NirSoft that allows you to view and modify the settings of your monitors, including brightness, contrast, sharpness, red/green/blue color balance, color presets, etc. 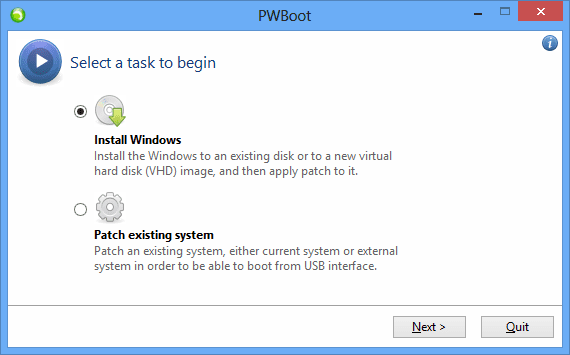 It works on any version of Windows, from Windows Vista and all the way to Windows 10 with support for both 32-bit and 64-bit systems. 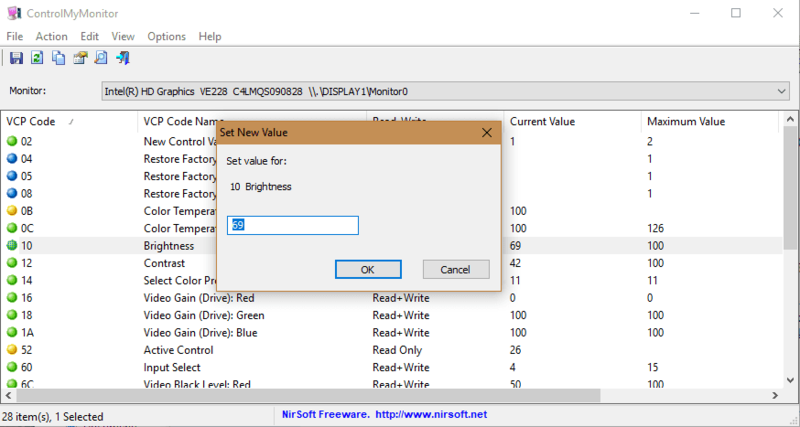 As NirSoft’s many other tools, ControlMyMonitor is also a portable tool that doesn’t require any installation process or additional DLL files. Download the tool and run the executable file named ControlMyMonitor.exe. It detects and lists all your monitors connected to your computer. Select one monitor and the tool will scan and list all available settings. 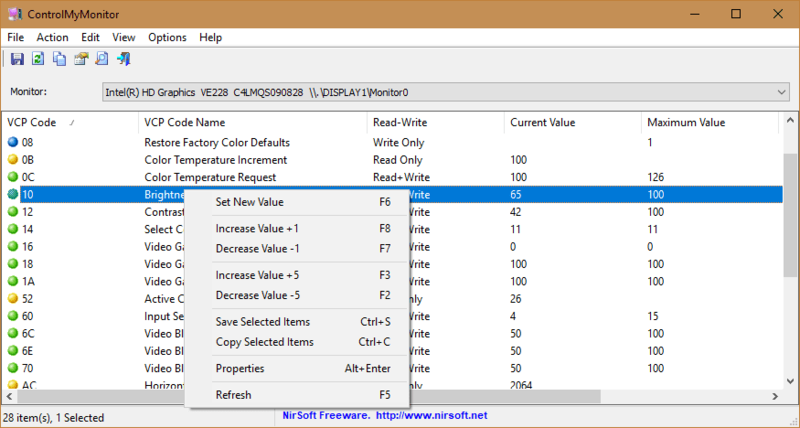 The settings pulled by ControlMyMonitor are also called VCP code, short for Virtual Control Panel, a code-binary set representing the command entities in the Monitor Command Control Set. For example, VCP code 10 represents monitor’s brightness while the code 12 is set to Contrast. 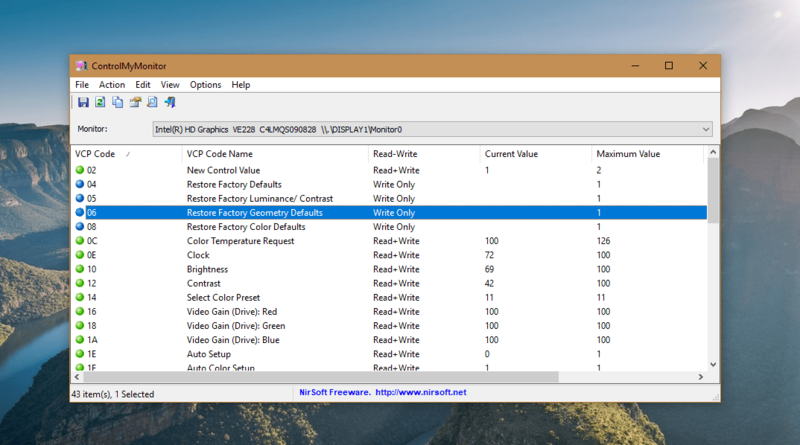 Depending on the monitor model you have, you may see more or less VCP codes available for your monitor. To change a particular setting, either double-click the item or press F6 keyboard shortcut. You can also right-click the setting and choose to increase or decrease the value from the context menu. You can even hold down the Ctrl key and use the mouse wheel to increase or decrease the currently highlighted item. You can go to Options menu to change this behavior if needed. There are some write-only settings that allow you to restore to the factory defaults of the monitor. You will have to set the value to 1 to activate these settings. You can also save and load the configuration right from the File menu.